I'm really captivated by sleek, flush fitting designed hardware at the moment having just rewired and installed wiring in my new house. Looking back, my old house was just the prototype for much of what I'm doing now except without so many wires visible. To create an automated home setup which includes controlling the central heating boiler, PIR security and TV recording and streaming devices around the house, there's quite a bit cable running under the floor, between walls and through ceilings. Keeping the cables hidden is quite a challenge. Chargers are often the worse with long cables, most of which is left hanging or laying around. Maplin Electronics sell a UK 13A plug socket with a built in USB charging socket. A neat solution for de-cluttering any kitchen or lounge. Reasonably priced at £14.99. This week, I also spotted that designer, Min-Kyo Choi has won the Brit Insurance Design Award 2010 for creating a flat-pack plug. See photo above. 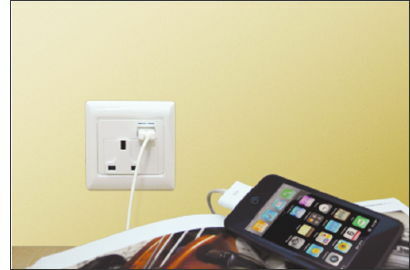 I really liked the way several plugs can folded up and still plugged into a specially designed multi-way plug. Really smart thinking. 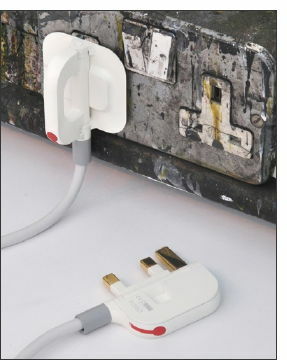 Ok, seen this in loads of places, I now need to buy some as this will really help solve the marine fish keep problem of too many plugs and not enough socket spaces under the tank. Any idea where I can get these from? ?